2016 | solo character voices, chorus, live electronics, soundscapes, fiddle, piano, percussion, mbira | 1' 40"
In July I researched and wrote the music for a devised theatre production for YMTUK based on Scottish and Norwegian folklore. and the rest of our brilliant company, we made a musical from scratch (well a pile of raw materials) in 9.5 days. 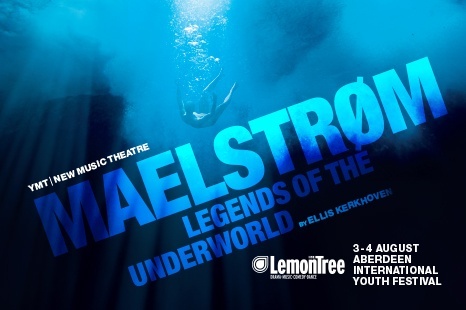 It was performed at the Aberdeen International Youth Festival and we somehow survived to tell the tale..
Descend into the dark mystical world at the heart of the MAELSTRØM – Legends of the Underworld. When an independent documentary team throw a mannequin (affectionately called ‘the Hag’) dressed in a life jacket, go-pro cam and depth gauge into the Corryvreckan maelstrom off the coast of Scotland, we’re swiftly dragged to the abstract, ambient Cauldron of the Speckled Seas, where essences of nature rule and fierce Highland kelpies meet tragic Nordic Kings. 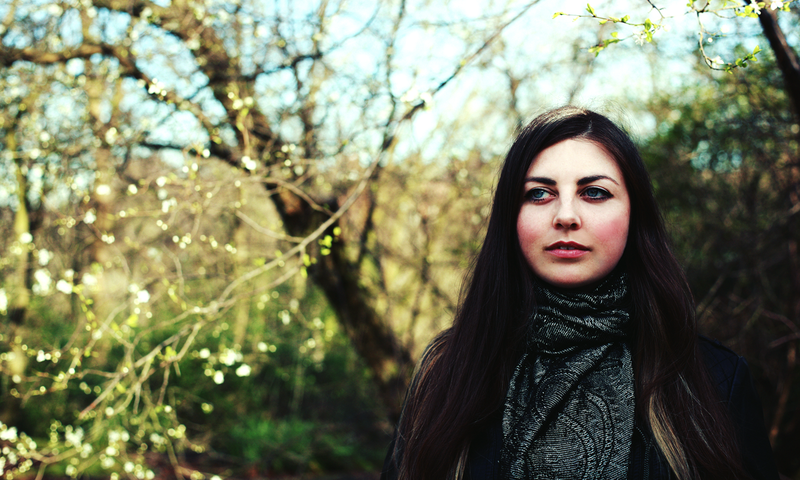 The show will be an abstract ambient mix of folk/choral song, movement, multi-media and folklore, following the journey of ‘Hag’ to the heart of the maelstrom, a powerful place where the essences of Scotland and Norway meet. There were nineteen songs plus instrumental/movement scenes and some incidental music too (at one point the speech was melodic too though that didn’t make the final cut). There wasn’t a lot of sleep happening but the collaborative process was really interesting and I got to play with some new musical toys. Plus it was fun to let loose on a Shirley Bassey-esque number for an arch villain, a club anthem for a Norwegian viking goddess and a Michael Jackson-inspired wolf shapeshifter! Thanks to Duncan Lyall, Spad and Britt Pernille Frøholm for their help and knowledge on this project.